P2P group has released an updated version of “Training Manager”. Description: Now you can plan and prepare for training without the last minute scrambling that occurs when recurring training becomes due. Run a report to show overdue and upcoming training for the next period of time that you define, and see what’s coming up while you still have time to prepare and schedule. Track training records and status company-wide, or drill into individual training status. Assign required training by individual, job function, or group. Require retraining based on calendar time, course version, or one time only. Schedule and manage class sessions and student enrollments. Record attendance, training completion, and cancellations. Print status reports to demonstrate training compliance. Save file attachments associated with the records. 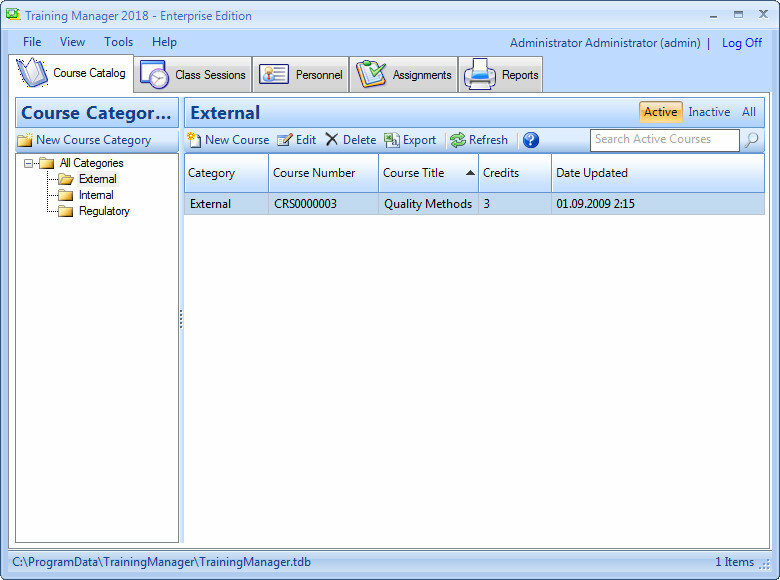 Import master course and personnel data. Export data and reports to various formats. Audit trail report which tracks data changes. Send class session reminders by email using your default email client such as MS Outlook.